Too many teams fail to capitalise on the goal-scoring opportunities from a corner kick. Organisation, positioning, and teamwork are all key points of focus if you want to increase your team’s effectiveness from corner kick plays. That’s why it’s crucial you’re spending time during training sessions to work on your set plays. During the World Cup in 2018, England managed to reach the semi-finals for the first time in 28 years thanks in large part to their creative and innovative corner and free kick routines. Even if they weren't at their fluent best out on the pitch, they could always rely on their set plays to give them a shot at victory. It’s always useful to have a couple of corner kick plays up your sleeve to confuse the opposition and increase your chances of putting the ball in the back of the net. ​This corner kick play aims to get a shot directly at goal. It relies on the players in the box making good runs to open up space for the player who will run onto the ball on the edge of the box and smash it goalwards. One player should be standing at the near post, four players running in from the edge of the box, and one player just behind them to peel off and take the shot. For the maximum amount of confusion, have the player on the near post make a darting run to the player taking the corner. This will draw their marker away from the front post and open up an area which the shooting player can target. At the same time, the four players on the edge of the box should run in together, taking their markers with them, so that the opposition are unsure whether it’s going to be a short corner or a cross to the back post. The natural reaction of defenders when faced with a wall of attacking players running towards the goal is to drop off and retreat while battling to stay goal-side of the player they're marking. This should free up the designated shooting player to attack where the corner taker plays the ball, which should be on the edge of the D.
When striking the ball, the shooter should keep their body over top of it to ensure the shot towards goal is low and hard. To add another layer of confusion, you can get the first player to step over the ball instead of striking (if they’re being too closely closed down by the opposition), and then have another player run onto the ball and strike instead. ​This routine starts with 4 players lined up behind each other starting at the penalty spot before peeling off and making runs into space when the ball is delivered in. Another 2 players should be in the six-yard box. Their responsibility is to prevent the goalkeeper from coming out to claim the ball by staying close to goal and making distracting runs. The four players squeezed together make it very difficult for opposition defenders to know where each player will go due to all the movement that happens in a split-second. The front players may end up blocking the defenders which can lead to a numerical advantage on either the right or left side of the penalty spot. By making a run to the far post or front post, the attacking players also draw man-markers with them which leaves more space for their teammates to attack the ball. ​The aim of this soccer corner kick routine is to split the opposition's defenders in half and allow one of your players a free header at goal, directly in front of the keeper. One player starts off in the six-yard box, a wall of four attacking players facing the goal just behind the penalty spot, and two players lingering just outside the D.
You can also have one player out wide near the corner taker to sell the idea that you may play it short rather than launch it directly into the box. The player in the six-yard box will usually have two defenders on them so they don’t get in the way of the keeper. As the ball is swung in, this attacking player should drift to the back post, pulling the defenders with them which opens up space in front of goal. The four players around the penalty spot should be on their toes and make darting runs once the corner taker is about to put in the cross. Two of them should sprint towards the front post, while the other two should sprint to the back. This draws the defenders to either side of the goal and opens up space directly in front of the keeper. The two players on the edge of the D are the key to getting a free header or volley at goal. While there will certainly be one opposition player marking them, it is likely that another defending player will be located deeper in the box facing the corner taker, so that one of the attacking players can't run in and take a shot. One of the two players should block the defender from following in the main attacker who is tasked with heading the ball. By simply getting in their way, they can slow down the defender as the other player has a free run on goal. They must do it discreetly, however, to avoid giving away a free kick. ​This corner kick routine aims to get one of your players advancing into the box after taking a short corner. From here, they can drill a low cross across goal or cut it back for a teammate. Three players bunch together around the penalty spot, another player is on the edge of the D, and there’s one more player on the corner of the penalty box on the far side. There should also be a player on the corner of the box nearest to the side where the corner kick is being taken from. As you can see, this setup doesn't give any clues to the opposition as to whether you'll play it short, to the front or back post, or to the edge of the area. As the player taking the corner kick shapes up to put the ball into the box, the player nearest to them makes a darting run as they instead play it short. There will usually be only one player marking them, so you'll already have a 2-on-1 situation and it’s up to these two players to not play each other offside or lose the ball. The three players in the box then make quick sprints towards the goal. One to the front post, one to the back post, and one to the middle. If done correctly, the player with the ball should have the freedom to either drill the ball across goal or cut it back to the player on the edge of the D rushing in. If the ball somehow makes it through the melee of people in the middle, the player on the opposite side of the penalty area can retrieve the ball and either take on a defender or put in a cross themselves. 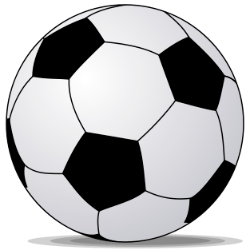 ​To keep your opponents guessing, it’s a good idea to have a number of different corner kick routines so they never know what you're going to hit them with. This one relies on a quick dart to the front post to flick the ball on for a teammate to head into the back of the net. Two players on the front post, one on the keeper, two at the back post, and one or two players hovering around the penalty spot or the edge of the box to make late runs in. The corner taker has to aim the ball for the area just in front of the first post where one of the two players will dart in front of their marker and head the ball onwards. To give them the best possible chance of getting to the ball first, the other player with them at the front post should also make a short run. But this is back out to the edge of the six-yard box and means they can also head it on if the delivery goes over the first player. Because the keeper has been kept occupied by the player standing in front of them, they can't come to claim the ball. This allows the two players on the back post to split and make short runs, one towards the centre of the goal and the other dropping off in case the ball comes all the way to the back post. The one or two players around the penalty spot should make powerful runs towards the goal as the corner is put in and when the flick on arrives, they should hopefully be able to make a powerful connection. Alternatively, one of these players can stay at the edge of the box just in case the ball is cleared and they can either sweep it up or take a shot themselves. 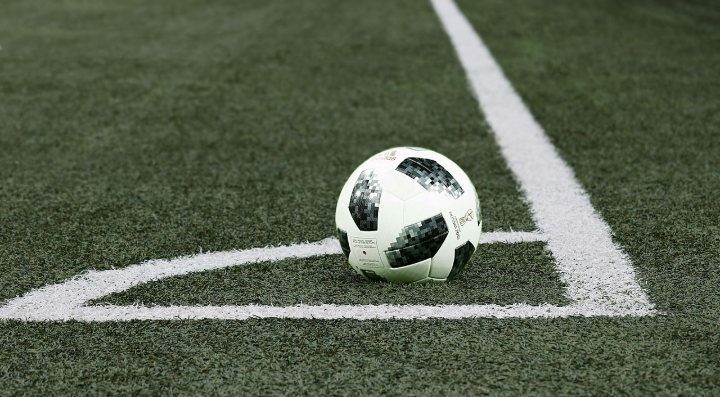 ​While they can take some time to perfect, working on your team’s corner kick routines can result in several extra goals throughout a season or even in a one-off tournament match. By varying up the plays and delivery, you’ll keep the opponents guessing what’s coming next. 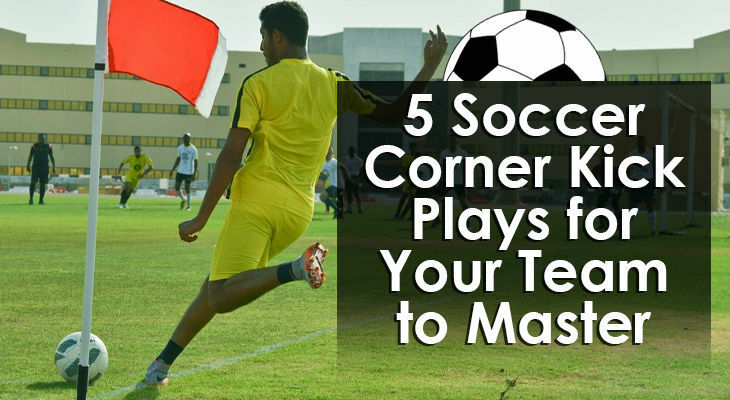 With these five soccer corner kick plays, your team will certainly be more of an attacking threat from corners whether you go short, long, or to the edge of the box.